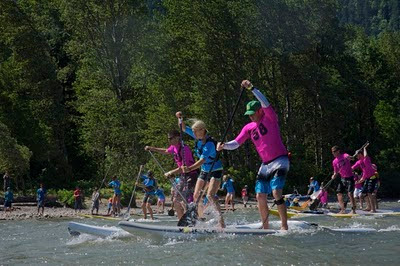 This year’s Standup Paddle 4 Cancer heads into its 3rd year of physical and mental endurance, challenge, and fun in beautiful Hood River, Oregon to benefit regional cancer awareness, prevention, and survivorship programs. The Standup Paddle Race events will challenge the most avid competitors with swell, currents, and wind conditions as part of the races. The SUP Race will consist of a 9-mile downwind race, a 4-person relay race, a full contact contest, and costume contest. Additional events at SUP4C include the Live & Silent auctions, All Day Live Music Stage, Full Sail Beer Garden, Food and BBQ, and SUP demos. 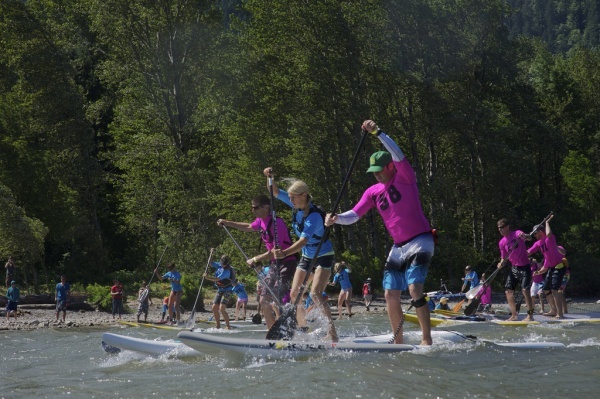 Raising over $300,000 for cancer programs up and down the west coast since its first year, SUP4C has blended the health and passion of the action sport community with the needs of the cancer care community for an amazing benefit. History of the Event: Initially started as Kiteboarding 4 Cancer in 2007 from one of the founder’s personal experience with cancer, Standup Paddle 4 Cancer was added in 2009, doubling in participation and spectatorship each year. The two events together evolved in 2011 as The Tenacity Games to include the many athletes from various other action sports who are driven to harness their physical ability and passion to fight cancer. Now in our 5th year, Athletes 4 Cancer has raised and donated over $300,000 to regional programs that directly benefit lives affected by cancer. In addition, in 2011 Athletes for Cancer started hosting our own Survivorship Camps for Young Adults with Cancer, providing adventure instruction in a safe and supportive environment for survivors as they face life after cancer. Athletes for Cancer is a 501 (c)(3) non-profit organization, IRS tax ID #42-1737854. We fund our programs and charities solely through tax-deductible contributions from private individuals, corporations and foundations. Might see if I can swing this somehow. Have to see what board brother Bill might have for me to use. Be fun to hook up if I can make it.